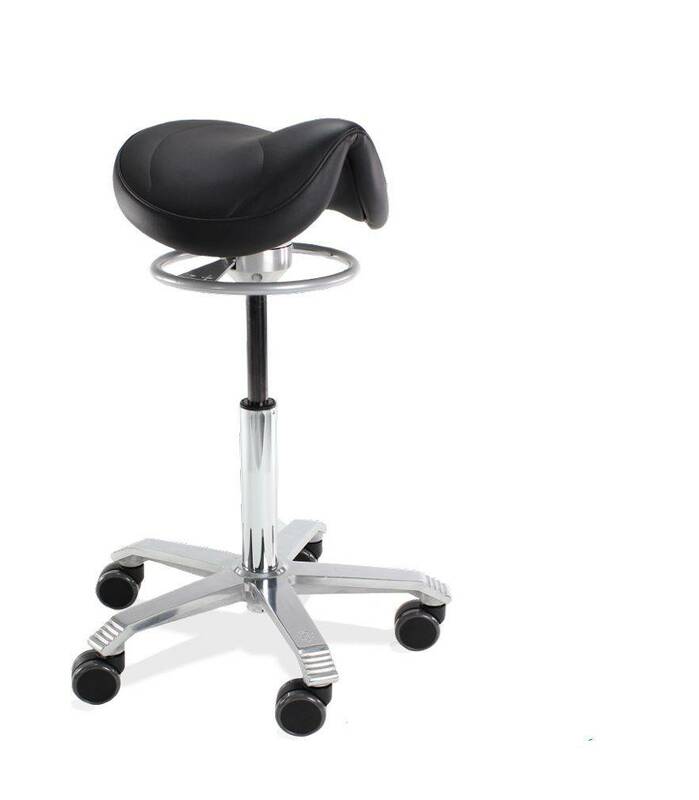 The ergonomically shaped saddle seat ensures healthy back posture which helps to reduce sitting fatigue. The anatomically shaped seat automatically tilts the pelvis back, so users adapt a natural and relaxed position. The saddle provides excellent sitting discipline, it is difficult to slouch and not possible to sit with your legs crossed. The saddle shape automatically positions your spine in a natural healthy position – provided that the height of the chair is correctly adjusted. Amazone Seat - The Amazone is the smaller of the seat options, measuring 34cm across. All Score seats have anatomically shaped saddles that tilt the pelvis and create a relaxed back posture. The Amazone seat size is recommended for users with a hip circumference of 104cm or less. This equates to a woman’s dress size of 14 or less and men’s pant size of 34 or less. Jumper Seat - The Jumper is the wider of the seat options, measuring 44cm across. All Score seats have anatomically shaped saddles that tilt the pelvis and create a relaxed back posture. The Jumper seat size is recommended for users with a hip circumference of 104cm or more. This equates to a woman’s dress size of 14 or more and men’s pant size of 34 or more. The Score balance mechanism encourage "active seating" by a unique multi-directional rocking mechanism that is adjustable to preferred level of movement. This sophisticated Balance mechanism moves the seat in the direction of the centre of gravity of the user’s upper body when changing posture. The pelvis and the spinal column stay in balance, and pressure points such as the inside of the thighs and the pubic bone are relieved of pressure. Combined with an adjustable height range of 19cm the Amazone Balance is an ergonomic stool that encourages active sitting and can be used as a seat at a standard desk or perch at a standing desk and ensures a healthy back posture. 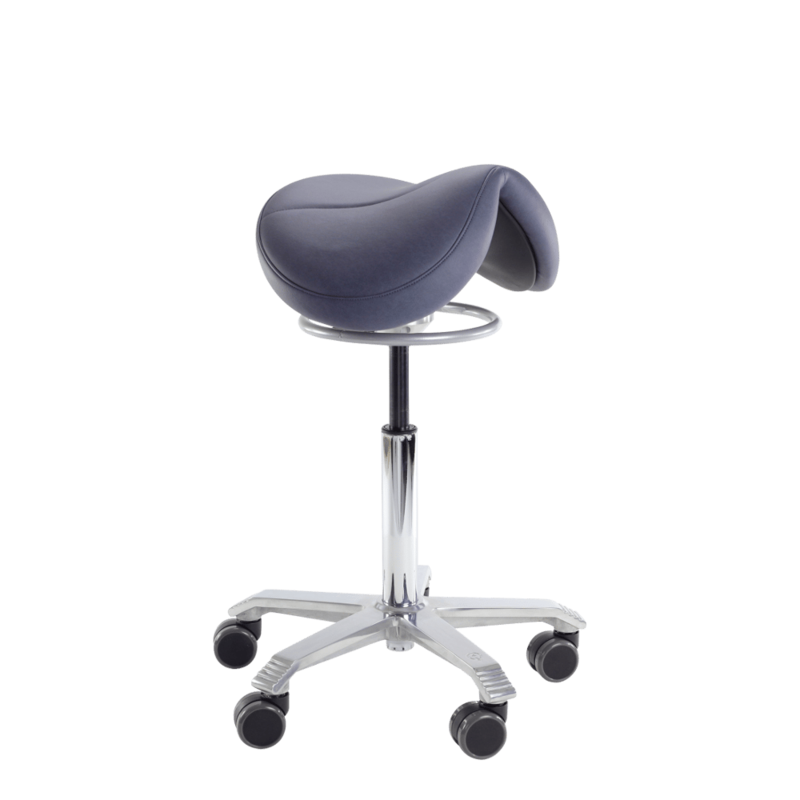 The height and the balance movement of the Amazone Balance can be adjusted via the rotatable ring.Unlike traditional saddle stools, the Score Balance mechanism stimulates the muscles in the lower back improving muscle tone and strength reducing back pain and sitting fatigue. This active way of sitting promotes circulation and trains and strengthens the back muscles. The rotatable ring determines the degree of movement. The tighter the ring is adjusted, the less movement and vice versa. - Can be used at a standard desk or as a perch stool at a standing desk. - Hand controlled height adjustment with gas spring. – For maximum freedom of movement. – Sit closer to your work area than you would with a standard chair base. -The narrower of the seat options, measuring 34cm across. Wider of the seat options, measuring 44cm across. - Patented adjustable Balance rocking mechanism that encourages active seating. -19cm range of height adjustment.